They co-opt the press, picking a reporter who looks amenable to coercion (“Show some respect!” he shouts at the first V press conference) to do an exclusive interview with the V leader, then asking him right before the cameras start rolling to “please don’t ask any questions that may portray us in a negative light.” The PR war only becomes more apparent as the series progresses. They recruit the young with a “Peace Ambassador” program, getting high school and college students to spread the word about how great the V’s are (later in the series it’s revealed that the spiffy V jackets the kids get when they join up each contain a little spycam in the lapel). They have been here for decades, infiltrating every level of our government and our society with their sleeper agents. They are arming themselves with the most powerful weapon of all…devotion. I don’t normally watch TV, but I’m watching this (thank you internet) and I suggest you do the same. Don’t have a TV? Online episodes can be found here. ABC’s V may be a work of science fiction, but there are some new guys on the real-life political scene who aren’t, and, as they say, forewarned is forearmed. LMAO! What a clever idea! I probably won’t watch it live but I might catch clips on You Tube. Larry It is very easy to fall under Obama’s spell because he is a smooth guy that makes a person want to believe especially those that are in need of help. Our young people are looking for someone to save us from ourselves they are easily influenced and he has a lot the them convinced. I am a bit older and wiser, not so eager to jump on the bandwagon. Yes, Obama is definitely the elephant in the room on the show “V” — I didn’t want to mention that before for fear of the obvious: ‘there goes Harvey again — making “the anointed one” out to be a bad guy.’ reaction. LOL! 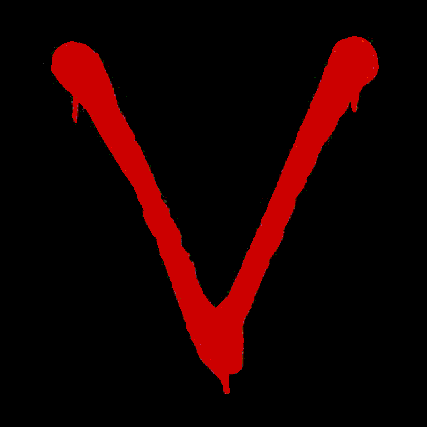 I’ve read about V, but I haven’t seen it. Based on your recommendation, Brianna, I’ll watch at least some of it on the internet.